BRUNO MARS LAUNCHES DEAL WITH MGM RESORTS INTERNATIONAL: Four-time Grammy Award-winning superstar Bruno Mars will help kick off the opening seasons for MGM Resorts International’s two new entertainment venues on each side of the country. In Las Vegas, he’ll be headlining the new 5,300-seat Park Theater at Monte Carlo on Friday, Dec. 30 and New Year’s Eve Dec. 31. He’ll return in 2017 for additional dates Saturday and Sunday, March 11 and 12. Tickets for the four performances range from $99.50 to $550. 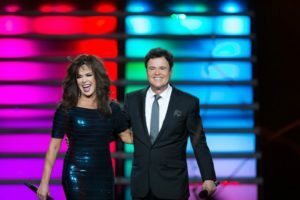 DONNY & MARIE OSMOND EXTEND RESIDENCY AGAIN AT FLAMINGO: After recently celebrating their eight-year anniversary at the Flamingo, Donny & Marie Osmond have extended their popular residency through the end of 2017. Tickets range from $95 – $262. America’s beloved brother-sister duo, Donny & Marie have continued to be one of the most popular acts on the Strip since opening at the Flamingo on Sept. 9, 2008. Their original deal was a six-week contract. Since then they have performed nearly 1,200 shows there and in October 2013 the showroom was renamed the Donny & Marie Showroom. GORDIE BROWN AND ‘ROCK OF AGES’ SHOWS WILL BE CLOSING: Comedy impressionist Gordie Brown, who has made the 600-seat showroom at the Golden Nugget his home for the past seven years, will be ending his run on Nov. 24. His shows are nightly except Monday and Friday at 7:30 p.m. Brown has been a regular headliner in Las Vegas since 2004 and toured with Celine Dion for a while. “Rock of Ages” at the Rio and after a previous three-year run at The Venetian will close Jan. 1, 2017. 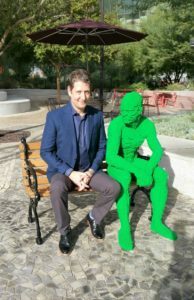 VISITING ‘PARK PEOPLE’ ARE A LEGO® ART INSTALLATION: New people constructed by renowned artist Nathan Sawaya are visiting The Park on the Strip through Dec. 30, 2016. Nine large-scale, brightly colored monochromatic human figures crafted entirely from LEGO® bricks are situated on wooden benches and placed throughout the outdoor space. People can cozy up to these “Park People” and take pictures. Sawaya, a former corporate lawyer, is an award-winning artist and founder of The Art Of The Brick global touring exhibition. His critically acclaimed, inspiring works of art are made entirely of LEGO bricks and are on exhibition at various institutes and galleries around the world. This playful exhibit is Sawaya’s first display in Las Vegas. 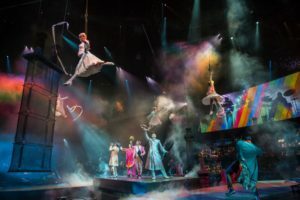 ‘THE BEATLES™ LOVE™’ INTRODUCES FREE OPEN REHEARSALS: While the free open rehearsals for “Mystère” at Treasure Island ended this past weekend, the opportunity moves over to “The Beatles LOVE” by Cirque du Soleil® at The Mirage. This stunning show recently celebrated its 10th anniversary by introducing new acts, music, technology, video, and choreography. Fans can attend open rehearsals every Friday from 4:15 to 4:45 p.m. and Sunday from 3 to 3:30 p.m. Guests receive a voucher offering tickets starting at $55 based on availability. Open rehearsals are subject to cancellation so confirm by calling the box office at 702-792-7735. CÉLINE DION CELEBRATED 1,000th SHOW AT CAESARS PALACE: Céline Dion recently experienced her 1,000th time on The Colosseum at Caesars Palace stage. Her milestone performance closed with bronze and silver confetti and balloons raining down on everyone. Tickets are on sale now for her 7:30 p.m. shows through June 3, 2017. Dion’s first Las Vegas-residency show was, “A New Day”… created and directed by Franco Dragone. It played 717 performances from March 25, 2003, through Dec. 15, 2007. After a three-year break from Las Vegas, Dion returned on March 15, 2011, with a glamorous new show directed by Grammy Awards producer Ken Ehrlich. 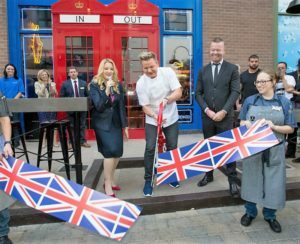 GORDON RAMSAY FISH & CHIPS IS OPEN AT THE LINQ PROMENADE: Celebrated chef Gordon Ramsay’s fourth Las Vegas restaurant, Gordon Ramsay Fish & Chips, is now open featuring authentic British comfort food with fresh, sustainable ingredients, paired with hand-crafted shakes, lemonades or ice-cold beer at The LINQ Promenade. Open daily at 11 a.m., the fish at the takeaway-style eatery is sustainable Alaskan True Cod. The chef’s other Las Vegas restaurants are: Gordon Ramsay BurGR at Planet Hollywood; Pub & Grill at Caesars Palace; and Steak at Paris. MICHIGAN-BASED ZINGERMAN’S COFFEE OPENS IN VEGAS AT THE D: Derek Stevens, owner of the D downtown, just opened the Coffee Stand at the D in the lobby serving coffee from Ann Arbor-based Zingerman’s Coffee Company, which is a wholesale roaster with their product in cafes, restaurants and businesses throughout the country. This Las Vegas location is the first location of its kind in Nevada and joins the resort’s Michigan-owned restaurants American Coney Island and Joe Vicari’s Andiamo Italian Steakhouse. Hours are 6 a.m.to midnight with drink prices starting at $2.25 Founded in 2004, Zingerman’s products are sourced from international landscapes including South America, Indonesia, Honduras, Mexico, Papua New Guinea, Zimbabwe and many more places. HARD ROCK CAFE HOSTS CANCER BRUNCH WITH OLIVIA NEWTON-JOHN: Hard Rock Cafe on the Strip will team up again with Flamingo headliner, Olivia Newton-John, who is a breast cancer “thriver” rather than survivor, for a special bottomless champagne benefit brunch “Turn up the Pink” on Sunday, Oct. 23 from noon–2 p.m. Newton-John will be joined in an exclusive performance by acclaimed singer/songwriter and band mate Steve Real along with guest entertainers Chadwick Johnson, Melody Sweets and the Chippendales. 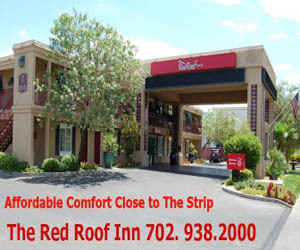 Tickets are $75, call Lisa Hendrixson at 702-650-8590. Proceeds will benefit Making Strides Las Vegas. The North Las Vegas Fire Department will park a pink firetruck on The Strip in front of Hard Rock Cafe all day for supporters and survivors to stop and sign. 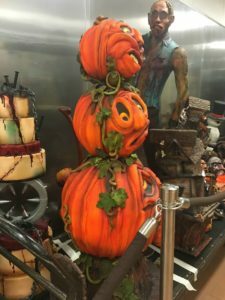 BELLAGIO AND ARIA FEATURE HALLOWEEN DISPLAYS IN CHOCOLATE: Jean Philippe Pâtisserie with locations at Bellagio and Aria celebrates with Halloween-themed displays from gory and gruesome body parts to whimsical cakes and pastries at both pastry shops. Executive Pastry Chef Claude Escamilla and his talented team worked diligently for eight months to create more than 45 festive showpieces. Scary zombie heads, wicked jack-o’-lanterns and other intricate, holiday-inspired delights decorate every nook and corner in both European pastry shops. Aria’s main showpiece is a 200-pound, six-foot-tall male zombie made out of chocolate and rolling fondant. Another sight to behold is the life-size skeleton perched in a chocolate electric chair. This design took the team more than 70 hours to complete, using approximately 130 pounds of white and dark chocolate. A zombie showgirl is the main focal point at Bellagio standing alongside a rundown Welcome to Las Vegas Sign. She was created using nearly 160 pounds of chocolate and 75 pounds of rolling fondant. MARVEL AVENGERS S.T.A.T.I.O.N. WILL HOST COSBASH 2016: The new Marvel Avengers S.T.A.T.I.O.N. at Treasure Island will host CosBash 2016 on Friday, Oct. 28 from 8-10 p.m. with a costume contest and chance to meet comic legend Stan Lee. Costume judging by celebrity guests will take place from 8–9 p.m. with winners and prizes announced at 9:30 p.m. There will be a cash bar and DJ. The first 150 fans in costume will receive free entry. WYNN NIGHTCLUBS CREATE ‘WYNNDERLAND’: Wynn Las Vegas’ nightlife venues Intrigue, XS and Surrender will transform into “Wynnderland” presenting a modern twist to the classic “Alice in Wonderland” story Oct. 28, 29 and 31. For the first time, all three Wynn nightclubs will be thematically unified under the “Wynnderland” concept but decorated differently. Intrigue’s winding staircase will lead to the Rabbit Hole. XS will become the Queen’s Garden. Surrender will transform into a Mad Tea Party scene. Intrigue will hold a Sexiest Costume Contest on Thursday, Oct. 27 for $25K in cash and prizes and again on Friday, Oct. 28 for $15K in cash and prizes. Surrender’s Sexiest Costume Contest for $10K in cash and prizes will be Monday, Oct. 31. TOWN SQUARE WILL BE TOWN SCARY ON OCT.31: Town Square will transform into Town SCARY on Monday, Oct. 31 from 4 to 7 p.m. when children of all ages can trick-or-treat with their own basket at participating stores and restaurants. Activities will include holiday-themed children’s games, costume contests and Halloween photos in Town Square’s Haunted House. Brio Tuscan Grille will host free pumpkins and coloring. Kids 12 and under who visit Yard House in costume from Oct. 29 to 31 will receive a Kids Card valid for a complimentary children’s meal on a future visit. Yard House will also serve Halloween-themed menu items including Vampire Tacos, Deviled Eggs and Midnight Sangria. DOWNTOWN SUMMERLIN® HOLDS SECOND HALLOWEEN TREAT STREET: Treat Street will return to Downtown Summerlin® on Monday, Oct. 31 from 4–7 p.m. The complimentary event allows families to dress in Halloween costumes and trick-or-treating throughout the destination’s common area where participating retailers and restaurants will pass out candy. New this year will be the Teal Pumpkin Project offering non-food items for folks with allergies noted by blue-green pumpkins at the storefront. In addition, Downtown Summerlin is partnering with The Animal Foundation to host a Howl-O-Ween pet costume contest for doggies in Macy’s Promenade. Entry is $20 for the first pet and $10 for the second with registration beginning at 4 p.m.
SLS HOSTS HALLOWEEN FUN AND BOOKS LIL WAYNE: Grammy Award-winning rapper Lil Wayne will appear during the return of Halloweezy Part II at Foxtail Nightclub inside SLS on Saturday, Oct. 29. Attendees are encouraged to dress in costume for a chance to take home $50,000 in cash and prizes in the sexiest costume contest. Doors open at 10:30 p.m. and tickets start at $35 for females and $40 for males. Also on Saturday, Oct. 29, Adelitas Way and Conflict of Interest will appear inside The Sayers Club during “Nightmare on Adelitas Way.” Following the bash, one winner will take home a grand prize in the costume contest. Doors open at 9 p.m. Presale tickets start at $15 and at the door $20. The holiday weekend early kick off will be the second Zombie Prom at The Sayers Club on Friday, Oct. 28 benefitting the Fabulous Sin City Roller Girls. All zombies are encouraged to dress in ghoulish costumes for a costume contest. Doors open at 10 p.m. and tickets are $10. WALKER FURNITURE HOSTS FREE HALLOWEEN PUMPKIN CARVING EVENT: Walker Furniture at 301 S. Martin Luther King Blvd. will host a Chanh Boupha Pumpkin Carving Event on Sunday, Oct. 30 from noon to 2 p.m. with free face painting from noon to 4 p.m. and free hot dogs and soda from 11 a.m.-3 p.m. in the Walker Furniture Atrium. Guests will have a chance to win one of two professionally carved 80-pound pumpkins done in full view by Chef Boupha. Note: Face masks are limited at many events so check first. For the fourth year in a row, Opportunity Village’s Magical Forest is transformed into the slightly scary HallOVeen nightly through Oct. 31 from 5:30-9:30 p.m. 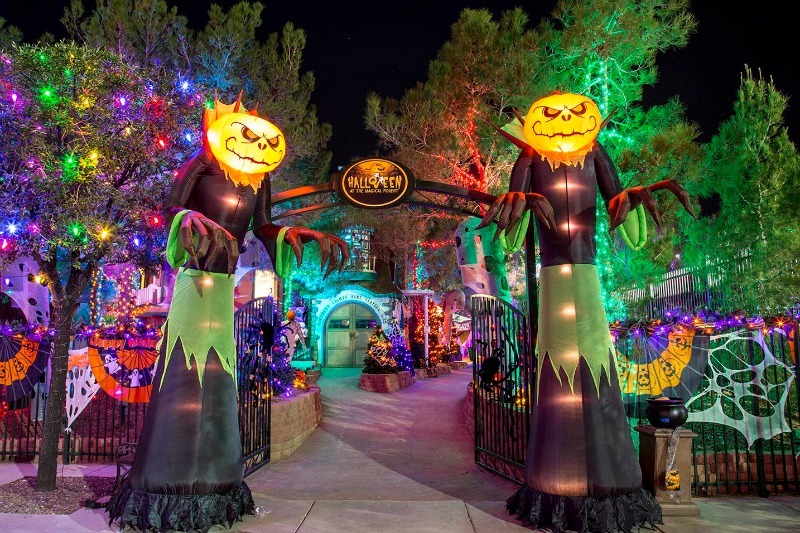 This family-friendly event features plenty of rides, attractions, crafts, movies, storytelling, the Candy Cabin and special entertainment in the Haunted Castle Courtyard. Adult general admission is $11.99 and $9.99 for ages 3-12. The LINQ Promenade will host a Halloween celebration on Thursday and Friday, Oct. 27-28 starting at 6 p.m. Festivities will include Halloween-themed décor, music with DJ Miguel, face painters, zombie stilt-walkers and a zombie LED drumline performing. The “TRIQ or Treat” experience also returns providing a safe trick-or-treat environment for kids. A costume contest with $10,000 in cash prizes for participants 21 and over will take place on Oct. 29. Hershey’s Chocolate World on the Strip at New York-New York on Monday, Oct. 31 from 9 a.m. to 11 p.m. will be giving out a complimentary snack size Hershey’s Candy Corn Creme Bar to visitors dressed in costume. Spooktacular fun for all ages awaits those who dare enter the Springs Preserve’s annual Haunted Harvest featuring trick or treat stations, carnival games and circus activities, a petting zoo, crafts, live entertainment, etc. Train rides are a few dollars more than the venue’s $8 general admission fee. The National Atomic Testing Museum (NATM) is hosting a family-friendly Haunted Museum in the popular Area 51 exhibit Oct. 17-29 (excluding Oct. 23) with zombies, ghosts, aliens, etc. There are craft activities in the lobby. Cost is $5 and free for museum members. In addition, the sci-fi classic “Invasion of the Body Snatchers” from1956 will be shown at the NATM on Saturday, Oct. 22 at 6 p.m. Admission is free. festive “Witch’s Brew” sharing cocktail pitcher for $38 throughout Halloween weekend, Friday-Monday, Oct. 28-31. The infamous Fetish and Fantasy Ball and Lifestyles Expo will be held at the Hard Rock Hotel Saturday, Oct. 29 from 10:30 p.m. to 4 a.m. General admission gives access to three giant rooms and two levels of insanity and nonstop entertainment. Neighborhood “spooktacular” celebrations will be happening at Distill, Elixir and Remedy’s five locations beginning at 8 p.m. on Saturday, Oct. 29 for guests 21 years or older with music plus drink and dining specials. Costume contest categories will include sexiest, scariest and most outrageous. No face paint or masks are allowed. 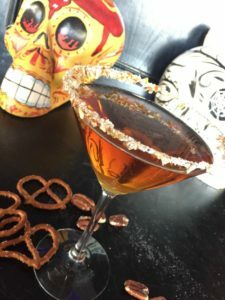 Pancho’s Mexican Restaurant in Downtown Summerlin will celebrate Halloween and Dia de los Muertos with an enchanting Ketel One vodka potion cocktail, The Witch’s Brewtini, from Friday, Oct. 28 through Tuesday, Nov. 1 for $11.25. Cabo Wabo Cantina inside Miracle Mile Shops at Planet Hollywood will celebrate Halloween and Dia de los Muertos with a handcrafted spooky cocktail and patio parties from Friday, Oct. 28 through Tuesday, Nov. 1. The Resurrection cocktail is handcrafted with Revel Stoke roasted pecan whiskey for $12. Life Time Athletic’s Las Vegas clubs will celebrate Halloween with the annual “Spooktacular” family event on Saturday, Oct. 29 from 11 a.m. to 1 p.m. at the Green Valley location and from 5 to 7 p.m. at Summerlin. Tickets start at $20. Masaharu Morimoto’s first restaurant in Las Vegas will open Friday, Oct. 21 at the MGM Grand in the space previously occupied by Shibuya. 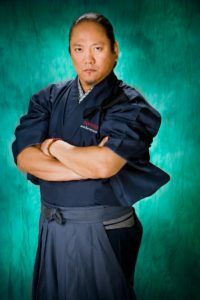 Chef Morimoto, the star of Food Network’s “Iron Chef America,” will be offering a new Japanese dining experience. The Gateway Arts Foundation is presenting “50 Pounds From Stardom,” an afternoon of music and levity by Jeneane Marie and Marianne on Sunday, Oct. 30 at 2 p.m. at the Starbright Theatre in Summerlin. Tickets are $20, call 702-240-1301. Due to popular demand, six rare personal effects belonging to RMS Titanic’s First Officer William Murdoch will be on display for an extended period of time at Titanic: The Artifact Exhibition inside the Luxor through Nov. 15. Murdoch’s recovered items include a toiletry kit with a shoe brush, an official White Star Line button, a straight razor, a pair of long-johns and a smoking pipe. Local businesses and craft beer fans continue to be the driving force behind the fifth annual Downtown Brew Festival being held Saturday, Oct. 22 at the Clark County Amphitheater from 5 to 9 p.m. Advance tickets are $40 and $50 and $10 more the day of the event. Fall Harvest Festival will be held at Tivoli Village on Saturday, Oct. 29 from 9 a.m.-5 p.m. There will be food and beer trucks, live entertainment, chef demos, games and prizes, pie eating contests, petting zoo and more. The Las Vegas Natural History Museum will hold its 25th Annual Dinosaur Ball on Saturday, Oct. 22 from 6 to 10 p.m. at Red Rock Resort. The fundraising gala will feature entertainer Doug Starks, an 18-piece orchestra, local comedian Paul Scally and the gala’s first host Dave Courvoisier. Tickets start at $250, call 702-384-DINO (3466). 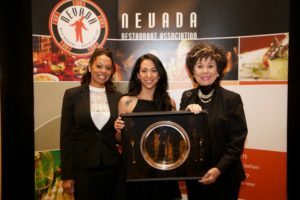 Pastry Chef Brigette Contreras from STK in The Cosmopolitan was awarded the “Pastry Chef of the Year” by the Nevada Restaurant Association. Presentation was made by NRA-chair Alaina Alexander and former 32nd Lieutenant Governor and owner of The Bootlegger Bistro, Lorraine Hunt-Bono.